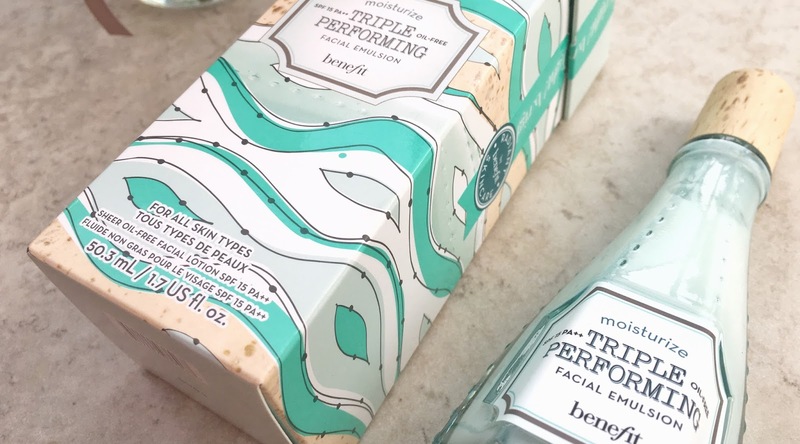 I have always loved Benefit Cosmetics, they're such great quality products and I honestly don't have a negative word to say about them. I have previously purchased many of their make up products however I have never actually got round to trying their skincare! I had a sample from a magazine of their Triple Moisturising Facial Emulsion SPF 15 and after using it for roughly a week I could already see an improvement in my skin so I went ahead and bought it! A lot of people suffer from dehydrated skin and aren't aware of it, it can leave their skin looking dull and tired. I have always gone for moisturisers that focus on dehydration but i've never had results as good as I have with this product! It is suitable for all skin types however it is also oil-free so I find it works really well with my combination skin. My skin has felt smoother since day one of using this and I honestly cannot recommend it enough! This moisturiser has such good oil control, I have found that my face goes no where near as shiny as it has in the past throughout the day! My complexion is also a lot clearer and it's super light on the skin so it doesn't feel like it clogs the pores at all. Another thing I love about this product is that it keeps your skin protected with the SPF15. Also how cute is the packaging? I absolutely LOVE it, it's so pretty. 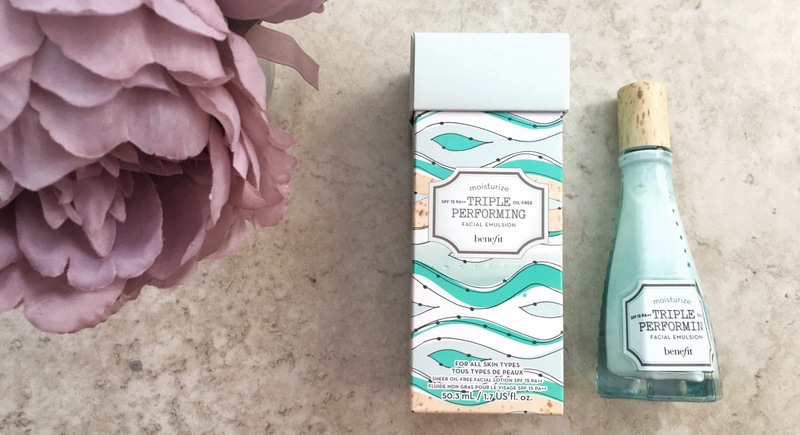 Not only does it look good on your skin it also looks good on your shelf! 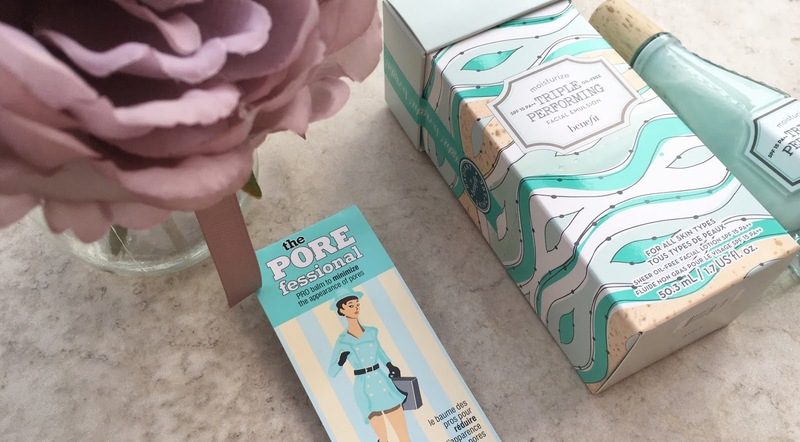 A small sample of The Porefessional Primer was included as well which made me super happy as this is my all time favourite Benefit Product. It retails at £22.50 but it's honestly worth every penny and I definitely think it is worth spending money on products that really benefit your skin! It is available here and here. I love this moisturiser in the summer when I find my skin slightly oiler, plus I find it really helps your make up go on smoother.